We had a marvelous Thanksgiving day in New York City. A gorgeous clear sunny day. 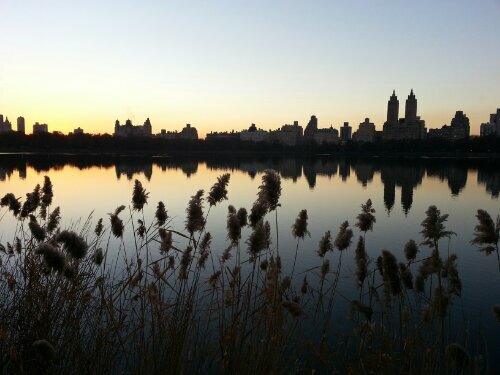 This was today’s sunset over the city skyline and its reflection in the Reservoir Lake of Central Park.